​ April 27-29 Year 18 AQ. What a wonderful event! This weekend (April 27-29, Year 18 AQ) we had the great pleasure of attending the Sixteenth Annual Lustration of the Ancestors hosted by Lady of Light Witan Shrine in Winston-Salem, North Carolina! We want to thank Rev Lori Blackman of Lady of Light and all the members of Lady of Light for all of their hard work in making this Lustration such a delightful and memorable event! We especially want to thank Chad Blackman for his work as tech coordinator! Thank you all! Right: Rev. Lori Blackman, Head of Lady of Light Proto-Temple, Press Secretary for the Correllian Tradition, and host of Lustration weekend! As always people came from many places to attend Lustration! Rev Jon Anastasio came from Washington state! Rev Anastasia Allen came from New Mexico! Rev Gary Strout came from Kansas! Rev Phoenix Williams and Rev Kai Aidan came from New York! Arch Priestess Alyssa Maxon Kemp and Mable Jean Kemp came from Connecticut! First Elder Windy Lajoie, Rev Jinn Erudite, and Rev Aisha Beauchemin came from Massachusetts! Rev Ser Elizabeth Hamilton came from Pennsylvania! Rev Emairelhd Eartheart came from Alabama! Rev Marilyn Auman came from New Jersey! First Priestess Stephanie Leon Neal, Rev Ser Michael Neal, Rev Elizabeth Miller, Rev DJ Fortney, Angela Hyder and Brendon Hyder came from Georgia! First Priest Don Lewis, Arch Priestess Ser Angela Munn, Arch Priestess Laurie Denman, Rev Meranda Favro, Katie Gunn, Rev Rodney Rexrode, and Pam Beck came from Florida! Rev. Judy Hamilton came from South Carolina. ​We were especially pleased to see Rev Ser Jeanine DeOya of the African American Wiccan Society and Rev Becca Ellis, Founding Head of PURE Sanctuary Temple, both of North Carolina! We were also very glad to get to meet Pagans Tonight Radio Network Station Manager Pam Kelly in real time! Pam has done a wonderful job managing PTRN for many years now, but this is the first time that we have actually been in the same physical space! It was very good to get to meet and talk face-to-face. Right: Chancellor Rev Don Lewis with Pagans Tonight Radio Network Station Manager Pam Kelly! We had several Honored Guests whose presence greatly enhanced the Lustration experience! We were honored by the presence of Rev Moonraven Iuvantas, Hierophant and Arch-Magus, and Draig Spellsinger, Hereia, from the Hellenic Alexandrian Tradition. Long time Friends of the Tradition, we could not be more delighted to have Lord Moonraven and Lady Draig at this event! We were also honored by the presence of Her Eminence the Arch Priestess Belladonna Laveau and Hierophant and Grand Summoner Rev Dusty Dionne of the Aquarian Tabernacle Church. The Correllian Tradition has a relationship with the Aquarian Tabernacle Church going back to the early 1980s, and we enjoyed a long and close friendship with ATC founder HE Arch Priest Pete Pathfinder Davis. Thirteen years ago, Rev Pete attended a Correllian Lustration and accepted a lavender stole as an Honorary Correllian Arch Priest. How wonderful to now welcome his successor to Lustration! The event officially began on Friday. The first event was a Welcoming ceremony for Mable Jean Maxon Kemp, Arch Priestess Alyssa’s little daughter who had just celebrated her first birthday a week before. Lady Stephanie and Rev Don acted as Presiding Clergy, as Arch Priestess Alyssa formally presented Mable Jean to the Ancestors. Rev Phoenix Williams and Rev Lori Blackman acted as Gods Parents for Mable, and all present welcomed Mable Jean back to the Tradition and gave her their blessings! Welcome Mable Jean! ​This was followed by Opening Remarks from Rev Don and Lady Stephanie. Rev Don thanked Lady of Light and the Honored Guests. Rev Don also thanked Rev Ser Elizabeth Hamilton and Rev Emairelhd Eartheart for their work in filming the event and handling social media. Rev Meranda Favro of the Order of Artificers presented a collar jewel to be added to the regalia of Correllian Elders and Arch Priesthood. Rev Meranda had created one for each of the Elders and Arch Priesthood present, which were handed out to them after the Opening Remarks. Great job Rev Meranda! Rev Aisha Beauchemin of the Order of Artificers presented Rev Don with a beautiful prototype of a new style of Witan collar. Great job Rev Aisha! Right: Rev Emairelhd Eartheart and Rev Ser Elizabeth Hamilton! ​​Lady Stephanie gave an inspirational speech followed by a presentation on the Door Program, offering advanced training in a number of subjects through the Correllian Nativist Church. After this Rev Lori Blackman presented Lady Stephanie with a project in progress -a deck of Correllian Shaman cards! Great job Rev Lori! ​ Above: The Doors of the Door Program, offering advanced training through the Church. After dinner Honored Guest Rev Dusty Dionne, Hierophant and Grand Summoner of the Aquarian Tabernacle Church, offered a workshop on Shapeshifting. This fascinating workshop focused on the fluid nature of humanity, and how humans can assume many guises in their relationship with the Universe and with each other. Rev. Dusty expounded on how we all have many faces depending upon the situations we face and the nature of the relationships we find ourselves in. It was a wonderful workshop, and everyone greatly enjoyed it! Thank you Rev. Dusty! ​Thus closed the first day of Lustration weekend! ​​Saturday began with the Deemsters’ Council. Templar Grand Deemstress Rt Rev Ser Angela Munn (Florida) was joined on the dais by High Priest Gary Strout (Kansas) and Rev Lori Blackman (North Carolina). Rev Meranda Favro acted as Deemters’ Herald. For this Deeming eight groups came to the Deemsters seeking to move forward in the Temple Making Process. ​Four Pillars Shrine (Ohio, US) represented by Pam Beck with Shrine Head Rev Kyle Metzger taking part by video call, seeking translation from a Witan Shrine to a Proto-Temple. ​River Gleaan Shrine (South Carolina, US) represented by Shrine head Rev Judy Hamilton in person, seeking translation from a Witan Shrine to a Proto-Temple. 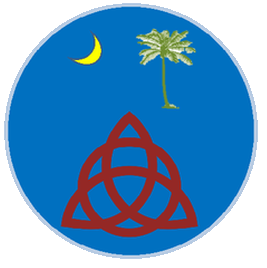 Inverness Forest Shrine (Texas, US) represented by Rev Aisha Beachemin speaking for Joint Heads Arch Priest Eblis Correllian and Arch Priestess Ayra Alseret, seeking translation from a Witan Shrine to a Proto-Temple. Ereshkigal Shrine (Zacatecas, Mexico) represented by Katie Gunn speaking for Shrine Head High Priest Pluma Argenti, seeking translation from a Witan Shrine to a Proto-Temple. Bosque del Norte Shrine (Guatemala) represented by Rev DJ Fortney speaking for Shrine Head Rev Silvia Bedregal, seeking translation from a Proto-Temple to Full Temple status. Santuario de Ptah (Madrid, Spain) represented by Rev Phoenix Williams speaking for Shrine Head Rev Mestet Sa Hor, seeking translation from a Witan Shrine to a Proto-Temple. Santuario de la Luna Menguante (Caceres, Spain) represented by Rev Anastasia Allen speaking for Shrine Head Rev Purple seeking translation from a Witan Shrine to a Proto-Temple. Universal Temple of Gaia (Chicago, US), formerly Holy City Temple (EST 1991), represented by Joint Head High Priestess Ser Elizabeth Hamilton with Joint Head Arch Priest Ser Ed Correll participating via video call, seeking a change in focus to a Paladinal Temple. This was quite a long Deeming Ceremony, but emphasizes how the Tradition is growing and thriving around the world! ​Next came initiations! There were a total of eight initiations and dedications at this Lustration. It should be noted that many people come to Lustration to have their initiation, while others come for initiatory confirmations, repeating a self-initiation ceremony which may have occurred long earlier now in a group setting. Above: Initiation group photo: L to R: Rev Dawn Allen, Pam Beck, Rev Rodney Rexrode, Rev Ser Jeanine DeOya, Rev Moonraven Iuvantas of the Hellenic Alexandrian Tradition, Arch Priestess Alyssa Maxon Kemp with baby Mable Jean Kemp, Arch Priestess Laurie Denman, First Priest Don Lewis, Bonnie Jones, Rev Lori Blackman, Rev Meranda Favro, Rev Phoenix Willians, Benjamin Benoit, Arch Priestess Ser Angela Munn, Rev Michael Neal, First Priestess Stephanie Leon Neal, First Elder Windy Lajoie, Rev Elizabeth Miller, Rev Aisha Beauchemin, Rev Jinn Erudite, Angela Hyder, Rev Jon Anastasio, Rev Anastasia Allen, Rev Judy Hamilton, Brendan Hyder, Chad Blackman, Front row L to R: Rev Ser Elizabeth Hamilton, Rev Kai Aiden, Rev DJ Fortney, and Rev Emairelhd Eartheart. ​Rev Don and Lady Stephanie acted as presiding Clergy with Rt Rev Laurie Denman organizing the ceremony. All other Arch Priesthood and High Priesthood present took part. ​Rev DJ Fortney was initiated into the Third Degree of Priesthood. Congratulations Rev DJ! ​Rev Lori Blackman of Lady of Light and Rev Judy Hamilton of Forest Gleaan were initiated into the Second Degree of Clergy. Congratulations Rev Lori and Rev Judy! 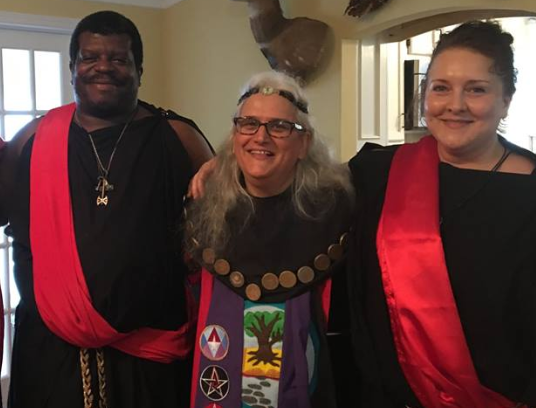 Left: Guide Rev Jon Anastasio, First Priest Don Lewis, Rev Lori Blackman, Rev Judy Hamilton, Guide Rev Jinn Erudite, and First Priestess Stephanie Leon Neal. Rev Dawn Allen of the Correllian Order of Herbal Studies was initiated into the First Degree of Clergy. Congratulations Rev Dawn! ​​Brendon Hyder and Angela Hyder of Forest Gleann made their Clerical Dedications. Congratulations Brendon and Angela! And Bonnie Jones of Lady of Light and Benjamin Benoit of Compassion League Temple made their Outer Court Dedications! ​What a wonderful night of joyous initiations! Congratulations to all new initiates and dedicants and to all of the participating Clergy for a fabulous ritual! After initiations we all convened outside in the adjacent meadow for a workshop by Honored Guest Belladonna Laveau, Arch Priestess of the Aquarian Tabernacle Church. The Arch Priestess channeled the Goddess Demeter and discussed the importance of connection to nature and agriculture, especially growing our own food. The importance of control of the food supply, and the role of heirloom seeds were strongly emphasized. After the workshop everyone present received a personal Oracle from Demeter. It was a wonderful and moving experience! Praise to Demeter and thanks to Arch Priestess Belladonna for this very special experience! Next, Arch Priestess Laurie Denman (FL) gave a talk on the Order of the Cypress. The Order of the Cypress is a resource sharing Order intended to help with response in emergency situations. 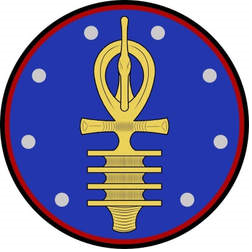 For more information on the Order of the Cypress you can contact Arch Priestess Laurie at RevLaurieDenmanCNT@aol.com! ​​The last event of the night was Rev Anastasia Allen singing to the Full Moon. Rev Anastasia sang Wendy Tule’s “Hail to the Moon” in a delicate ad haunting rendition. After this Rev DJ Fortney played his flute for the Moon, and Rt Rev Alyssa Maxon also sang. What a wonderful way to end the evening! Thus ended the second day of Lustration weekend! Sunday began with a workshop on the Hellenic Alexandrian Tradition by Hierophant and Arch-Magus Moonraven Iuvantas. This was an extremely informative and fascinating workshop about a Tradition that few of our members were familiar with beforehand. Rev Moonraven Iuvantas and Hereia Draig Spellsinger have been Friends of the Tradition for some time and attended previous Lustrations, but this is the first time that they have spoken in depth about their Tradition, and it everyone present was riveted. Thank you so much Lord Moonraven! And at last it was time for the Lustration itself! Until 2002 Lustrations were small, private ceremonies of the Mother Temple in which the Oracle and Blessing of the Ancestors were sought and extended symbolically to the Tradition. Made a public ceremony in 2002, the ritual was greatly expanded to encapsulate Correllian theological teachings about creation and existence, as well as the all-important Oracle and Blessing of the Ancestors. Over the years we have expanded the ceremony even farther so that as large a number of Clergy as possible can take part. This year we added several Spanish language sections in honor of our large Spanish speaking Correllian population. The ritual began with a broom dance to cleanse the space, enacted by Rev Emairelhd Eartheart (Alabama), Rev Jinn Erudite (Massachusetts) Rev Elizabeth Miller (Georgia), and Rev Aisha Beauchemin (Massachusetts). Then Rev. Phoenix Williams (New York) entered the ritual space as Guardian, delivering the Challenge and beginning the rite. M Rev Don Lewis and M Rev Stephanie Leon Neal acted in their capacity as First Priest and First Priestess. Rt. Rev. Arch Priestess Alyssa Maxon Kemp (Connecticut) acted as Sonifer, guiding the stages of the ceremony. Rev. Kai Aidan (New York) acted as Aquifer, blessing the salt and water. Rev Jon Anastasio (Washington) acted as Lucifer, blessing the fire and air. ​Rev. Ser Michael Neal (Georgia) acted as Junovocator, invoking the Higher Self of the First Priestess. Rt. Rev. Ser Angela Munn (Florida) acted as Genevocator, invoking the Higher Self of the First Priest. Rev Judy Hamilton (South Carolina) acted as Eastern Guardian. Rev Meranda Favro (Florida) acted as Southern Guardian. Rev Ser Jeanine DeOya (North Carolina) acted as Western Guardian. Rev Marilyn Auman (New Jersey) acted as Northern Guardian. In addition Rev Aisha Beauchemin (Massachusetts) and Rev DJ Fortney (Georgia) acted as Quarter Guardians in Spanish. Right: Arch Priestess Alyssa Maxon Kemp, who acted as Sonifer, with High Priest DJ Fortney who acted as Spanish language Quarter Guardian for West and North. Rt Rev Laurie Denman (Florida) acted as Rite Lector English, while Katie Gunn (Florida) acted as Rite Lector in Spanish. We were greatly honored to have Rt. Rev. Belladonna Laveau of the Aquarian Tabernacle Church act as Rite Priestess, and Rev. Dusty Dionne of the Aquarian Tabernacle Church act as Rite Priest. Rev. Gary Strout (Kansas) acted as Vocifer. Rt Rev Windy Lajoie (Massachusetts) acted in her capacity as First Elder, facilitating the actual act of Lustration. Rev. Anastasia Allen (New Mexico) acted as Elder’s Herald. Angela Hyder (Georgia) and Bonnie Jones (North Carolina) acted as Offertory Priestesses, presenting offerings of flowers and incense, water and flour to the Beloved Ancestors. We called forth and honored those who have crossed over since the last Lustration of the Ancestors and who had asked for inclusion: Cherise Snow Angel and Principe Therion de Fira. After this the actual Lustration went forward, the Lustral Water blessed by the Ancestors and used to disperse Their blessing by the First Elder and Quarter Guardians. Then came the Toast, with Benjamin Benoit (Florida) and Brendon Hyder (Georgia) acting as Califers. ​Next it was time for Awards. Twice a year the Tradition recognizes outstanding achievements by our members through our Tradition Awards. Of course, we know that there are many more hard-working members beyond those who are nominated for awards, and we could never possibly acknowledge all of the wonderful things that Correllians are doing, but we try through the awards to recognize a few. For everyone working hard to do good things in this Tradition whether acknowledged in this Award Cycle or not, we say Thank You for making this Tradition such an active, vital, and positive place to be! You are what keeps us going! Our first Award announcement was the creation of a new Award: The Order of the Obsidian Mirror given for excellence in media! And the first person to whom the Obsidian Mirror is awarded is Rev. Lori Blackman for her work as Correllian Press Secretary, especially with The Daily Spell! Congratulations Rev. Lori! Our second Award was the Order of the Copper Athame which recognizes achievements in the Sciences. The Copper Athame was awarded to Elbrus Hara, John Ing Witch Snodgrass, and Carmen Candelario. Our third Award was the Order of the Golden Wand which recognizes achievements in Service to Others. The Golden Wand was awarded to Hazsoly Marques, Dakarai Fox, Maxine Sims Reyes, and Runa Fuego. Our fourth Award was the Order of the Silver Chalice which recognizes achievements in the Arts. The Silver Chalice was awarded to Ravenwolf Greenfield, Aisha Beauchemin, and Meranda Favro. Our fifth Award was the Order of the Iron Pentacle which recognizes achievements in Teaching and Education. The Iron Pentacle was awarded to Pluma Argenti, Shaoran Daniel Pacho, and Jon Martin Anastasio. Our sixth Award was the Order of the Thurible which recognizes those who have been an Inspiration to Others. 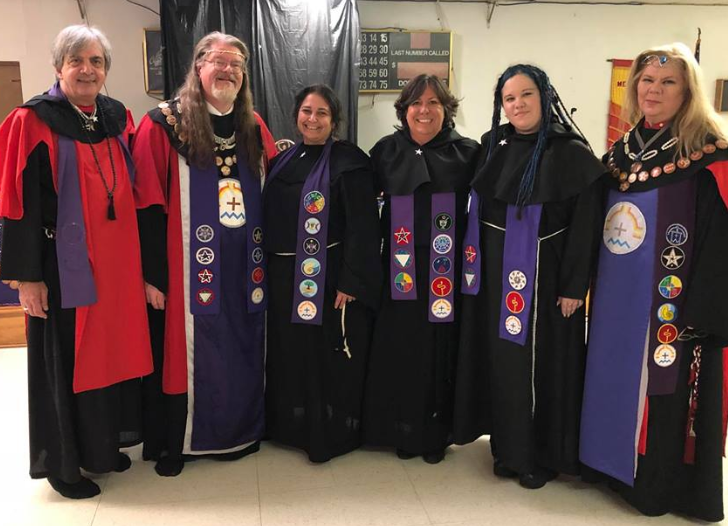 The Thurible was awarded to Beatrix Wolfe, Equinox Silvermoon, Vivian Dewey, Mestet Sa Hor, Norma Rodriques, Nuhmen Delos, Tine’ Estrella de la Tarde, Virgo de Nemi, and Sande Smith. Congratulations to all of our Tradition Award winners! Thank you for all you do! ​We then announced a very special guest: Rev Becca Ellis, HP, founding Head of PURE Sanctuary Temple in Danville, Illinois. Rev Becca was the host of the first two public Lustration ceremonies in 2002. Founded in 1999, PURE Sanctuary will be celebrating its twentieth anniversary next year, when it will be hosting the Lustration of the Ancestors. Rev Becca stepped down as Head of PURE Sanctuary Temple some years ago in order to pursue a more private vocation. How wonderful to have Rev Becca join us for this Lustration! Thank you, Rev Becca, for all you have done and continue to do in your High Priestly vocation! Right: Chancellor Rev Don Lewis with Rev Becca Ellis, Founding Head of PURE Sanctuary Temple and first Temple Head to host a public Lustration in Year 2 Aq. Next, we announced several new members of the Arch Priesthood. Last year a most valued member of the Correllian Tradition crossed over into Spirit: Principe Therion de Fira of Venezuela. Although Blv. Principe Therion is now among the Ancestors he has not left us. Therefore, the Correllian Tradition is proud to posthumously recognize Blv. Rt. Rev. Principe Therion de Fira as a member of the Arch Priesthood. Hail and Welcome Arch Priest Blv. Principe Therion! ​The Correllian Tradition is proud to recognize Rt. Rev. Ayra Alseret of the Kingdom of Spain as a member of the Arch Priesthood. Hail and Welcome Arch Priestess Ayra! ​The Correllian Tradition is proud to recognize Rt. Rev. Ser Michael Neal of the United States as a member of the Arch Priesthood. Hail and Welcome Arch Priest Ser Michael! We were then pleased to acknowledge several Honorary Priesthood. ​Rev. Moonraven Iuvantas, Hierophant and Arch-Magus in the Hellenic Alexandrian Tradition, we welcome you as an Honorary High Priest of our Tradition! 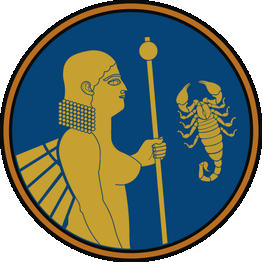 Draig Spellsinger, Hereia in the Hellenic Alexandrian Tradition, we welcome you as an Honorary High Priestess of our Tradition! Rev. 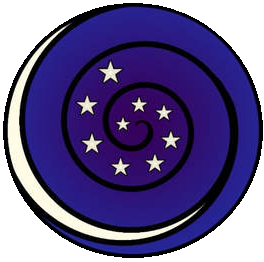 Dusty Dionne, Hierophant and Grand Summoner of the Aquarian Tabernacle Church, we welcome you as an Honorary High Priest of our Tradition! Rt. Rev. Belladonna Laveau, Arch Priestess of the Aquarian Tabernacle Church, we welcome you as an Honorary Arch Priestess of our Tradition! After this Tradition Templar Grand Deemstress Rt. Rev. Ser Angela announced the results of Saturdays Deeming Ceremony. ​Four Pillars Shrine (Ohio, US) under Rev Kyle Metzger is hereby translated from Witan Shrine to Proto-Temple. Congratulations Rev Kyle and members of Four Pillars Proto-Temple! ​River Gleaan Shrine (South Carolina, US) under Rev Judy Hamilton is hereby translated from Witan Shrine to Proto-Temple. 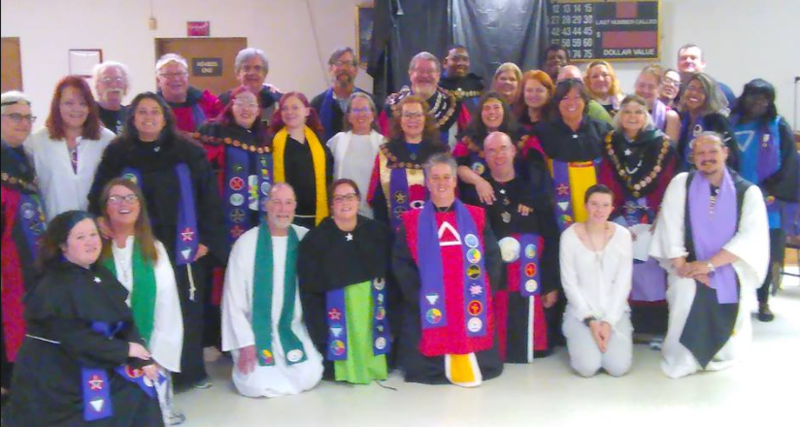 Congratulations Rev Judy and members of River Gleaan Proto-Temple! ​​Inverness Forest Shrine (Texas, US) under Arch Priest Eblis Correllian and Arch Priestess Ayra Alseret is hereby translated from Witan Shrine to Proto-Temple. Congratulations Arch Priest Eblis and Arch Priestess Ayra and members of Inverness Forest Proto-Temple! Ereshkigal Shrine (Zacatecas, Mexico) under High Priest Rev Pluma Argenti is hereby translated from Witan Shrine to Proto-Temple. 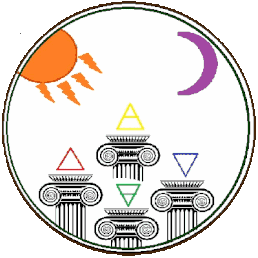 Congratulations Rev Plum Argenti and members of Ereshkigal Proto-Temple! ​​Bosque del Norte Shrine (Guatemala) under Rev Silvia Bedregal is hereby translated from Proto-Temple to Full Temple. Congratulations Rev Silvia and members of Bosque del Norte Temple! Santuario de Ptah (Madrid, Spain) under Rev Mestet Sa Hor is hereby translated from Witan Shrine to Proto-Temple. Congratulations Rev Mestet Sa Hor and members of Ptah Proto-Temple! ​Santuario de Ptah (Madrid, Spain) under Rev Mestet Sa Hor is hereby translated from Witan Shrine to Proto-Temple. Congratulations Rev Mestet Sa Hor and members of Ptah Proto-Temple! ​Santuario de La Luna Menguante (Caceres, Spain) under Rev Purple is hereby translated from Witan Shrine to Proto-Temple. Congratulations Rev Purple and members of La Luna Menguante Proto-Temple! Universal Temple of Gaia (Chicago, US) formerly Holy City Temple, under Arch Priest Ser Ed Correll and High Priestess Ser Elizabeth Hamilton is hereby recognized as a Paladinal Temple. Congratulations Ser Ed and Ser Elizabeth and members of Universal Temple of Gaia! Finally Rev Meranda Favro came forward to present specially blessed travel charms to all present, to ensure safe travels on the trip home. We then gave thanks and ended both the Lustration ceremony and Lustration weekend. ​​What a great Lustration this was! Thank you again Rev Lori Blackman, Lady of Light Proto-Temple, and everyone who worked so hard to make this such a happy and memorable event!